After crossing the big, mowed meadow, you'll come to this intersection. Turning left would take you down through some more meadows to Flat Laurel Creek (where the first two pictures were taken). 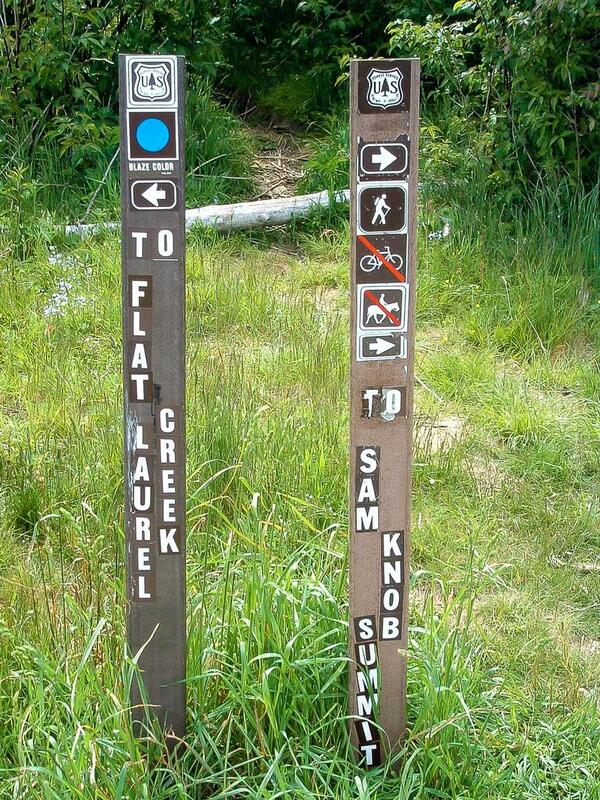 For this hike, you'll turn right and ascend the new trail to the summit.